Every year around the end of June, I become incredibly envious of Swedish people. 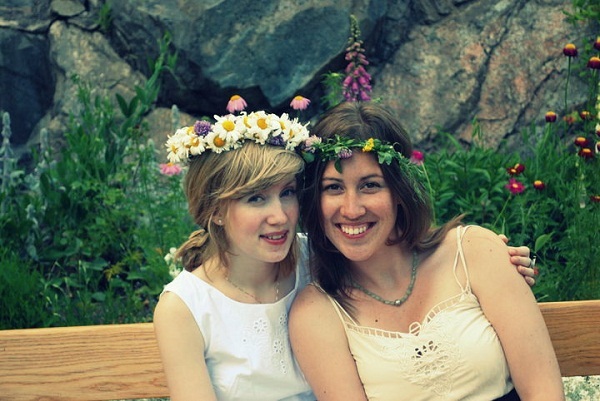 Not that I don’t usually wish I was Swedish (because, let’s face it, Sweden is just too cool) but once the photos of my Swedish friends celebrating Midsommar pop up on Facebook, I find it very hard to keep calm. 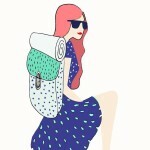 Thanks Anna, for being so beautiful and tormenting me with your lovely pictures. 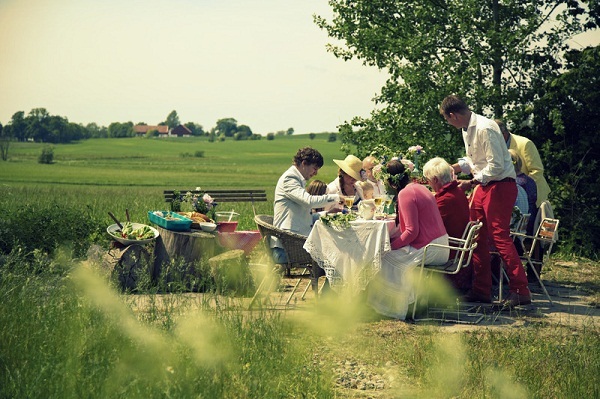 ‘Midsommar’ actually describes the period of time in which the summer solstice falls, but especially in Scandinavia festivities have over time expanded to form a holiday of their own. 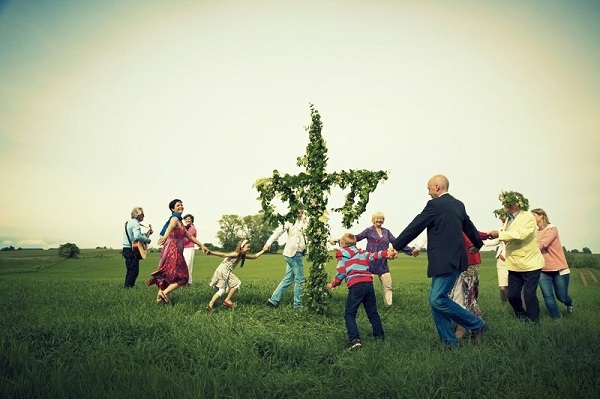 In Sweden, the main celebrations are held on Midsommarafton and Midsommardagen (Midsummer’s Eve and Midsummer’s Day), the Friday and Saturday that fall between the 19th and 26th of June. 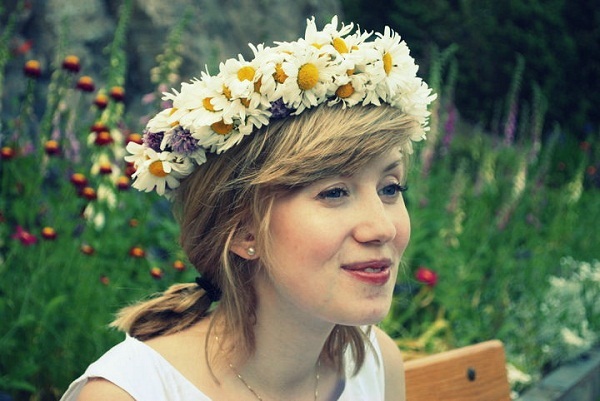 For Midsommar, females of all ages adorn their hair with beautiful floral wreaths. Personally, I think any reason to put flowers in your hair is a good reason, but seeing everyone else do it too is even better. If you want to try making your own wreath, check out this very helpful step-by-step guide. There is another Midsommar tradition involving flowers which is followed up a bit more loosely. On their way home from the party, girls are supposed to pick seven different species of flowers and put them under their pillow when they go to sleep. 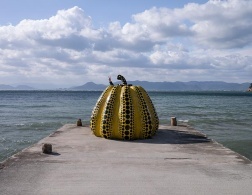 This is said to make their future husband appear to them in their dreams. 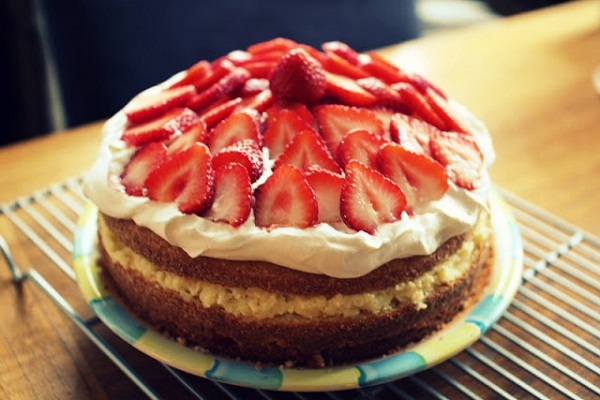 Like any other major holiday, Midsommar involves a feast that will make your mouth water just by looking at it. 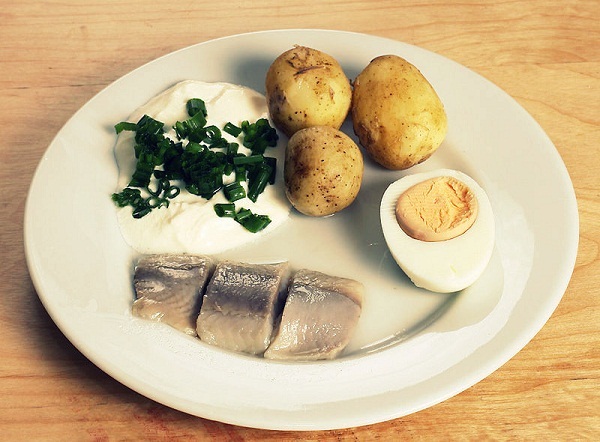 Traditional Swedish delicacies such as pickled herring, new potatoes with dill and sour cream, and Swedish strawberries are typically the highlights of a Midsommar buffet, also known as smörgåsbord. 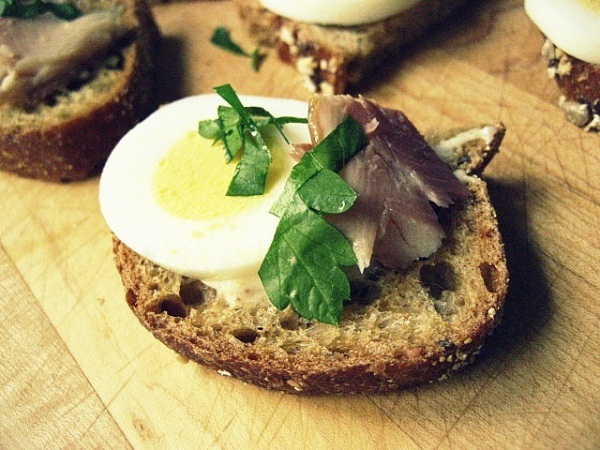 However, one could say Midsommar is just as much about drinking as it is about eating. Young and old (bar the underaged) usually consume considerable amounts of beer and special home-brewed schnapps known as brännvin, which comes in flavours such as elderflower and blackcurrant. Once the maypole has been erected, people of all ages will dance around it and sing traditional folk songs. 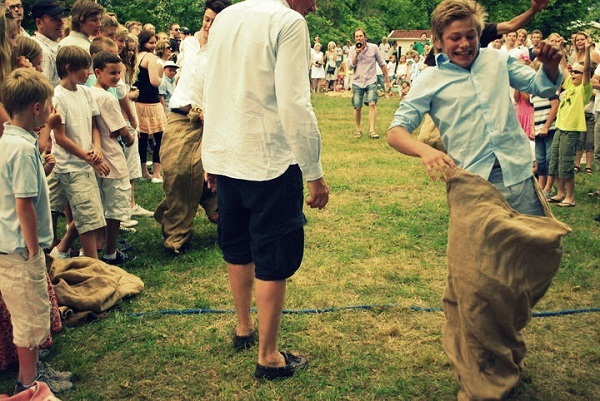 One very famous song, ‘Små Grodorna’, requires everyone to hop around the maypole like a frog. Especially after a few drinks, this is highly entertaining. What’s better than having a party? That’s right, having a party outdoors. 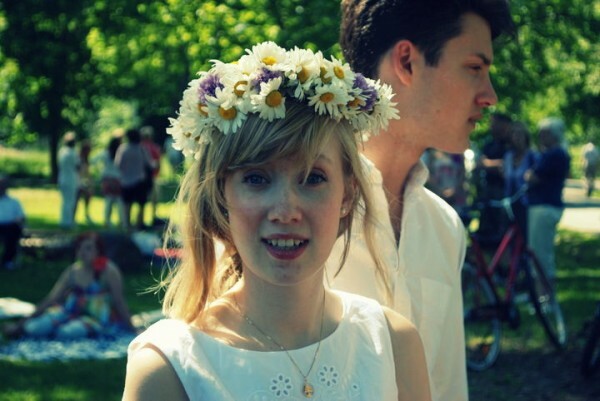 Ideally, Midsommar celebrations are held outdoors in the midst of lush greens or by the side of a lake. Because Midsommar marks the longest day of the year, it will take quite a while for the sun to set. Swedish summers are short and sweet, so the fact that it stays light for long outdoors makes the festivities even more special. 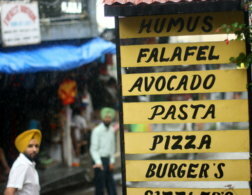 However, it is only fair to note that the weather doesn’t always play along. But the Swedes are optimistic. Even if the weather forecast announces cloudy skies and showers, precautions will be taken to ensure as much of the celebrations as possible can take place outside. 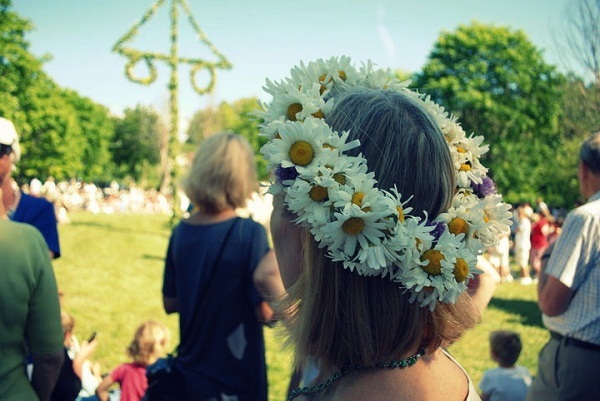 Midsommar is a festival for young and old alike. 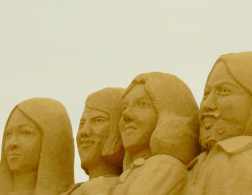 Several generations come together to celebrate, drink, eat, sing, dance and be merry. Little children love it because they get to spend their days playing outside and staying up a bit later than usual. 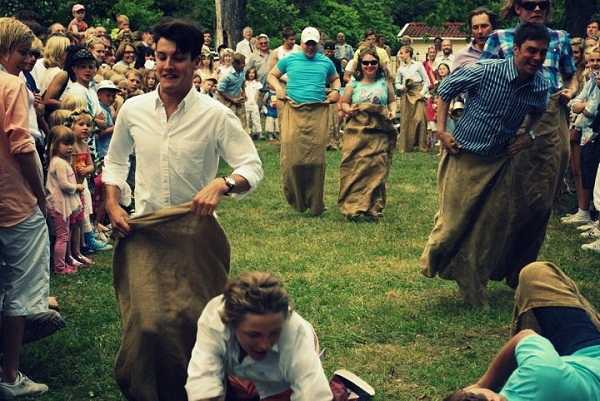 Teenagers and young adults rarely say no to a party that involves copious amounts of booze, and for the older generations Midsommar is almost like an excuse to drink a glass or two too many, all while in the company of their loved ones.